In recent years, Wahed Invest has made halal investing easy and accessible. To open an account, all you needed was a US bank account and an internet connection. 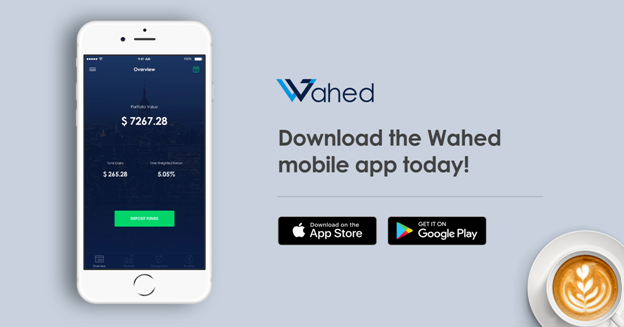 It has now become easier with Wahed Invest’s new mobile app which you can use to sign up, fund, and monitor your account. It is available on the iOS App Store and Google Play. 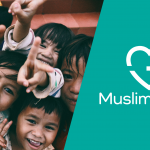 The app is Wahed’s ambitious mobile release which is in line with the company’s vision of keeping Halal investing accessible to all types of investors. Traditional investment methods have evolved and most investors either research, monitor or make investment decisions online. 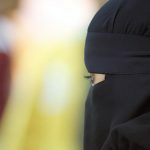 Wahed has worked tirelessly to make investment dreams for millions of Muslims and other ethical investors come true. Wahed’s mobile app can help you keep track of your investments, fund at the tip of your fingers and monitor your performance anytime and anywhere. Download Wahed App today (iOS | Android). The app is only available in the US. Wahed Invest LLC is registered as an investment adviser with the Securities and Exchange Commission. Registration does not imply a certain level of skill or training. Custodial and brokerage services are provided by Apex Clearing Corporation, member of New York Stock Exchange, FINRA and SIPC. Any returns generated in the past are no indication of future returns. All securities involve some risk and may result in loss. This is not an offer, solicitation, or advice to buy or sell securities in jurisdictions where Wahed Invest is not registered. For full terms and conditions please visit www.wahedinvest.com. This article is part of a paid promotional package for Wahed Invest LLC.